Artist Reception: July 14 from 5:00 - 7:00 PM • EXHIBIT RUNS: July 14 - August 26, 2016 . 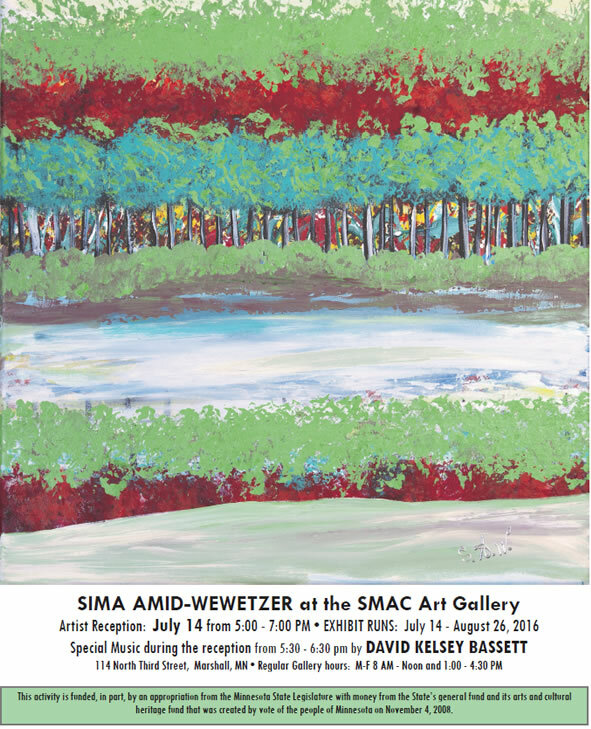 Special Music during the reception from 5:30 - 6:30 pm by DAVID KELSEY BASSETT . 114 North Third Street, Marshall, MN .